Aug 12, 2016 in "The Jungle Book: Alive With Magic"
"The Jungle Book: Alive with Magic" will have its final performance on September 5 2016. 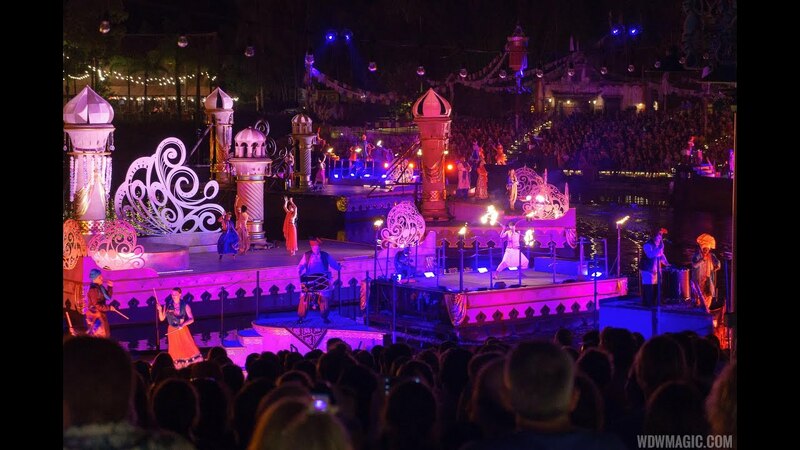 The limited time show, which opened on Memorial Day Weekend, was brought in on short notice in place of the delayed Rivers of Light show. Work continues on developing that show, with testing underway daily, and more testing to take place once the Jungle Book leaves the river. The other nighttime activities at Disney's Animal Kingdom are unaffected, with the Kilimanjaro Night Safaris, Hramabe Parti, Discovery Island Carnivale and the Tree of Life Awakenings continuing. Operating hours are likely to be shorter than the 11pm closings of recent, at least until Rivers of Lights debuts, which is expected to be later this year.